John has been tending an odd little plant for years. 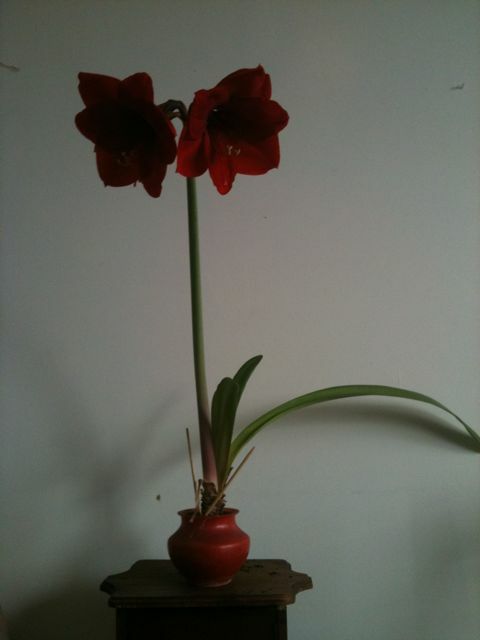 It is a large bulb that sits in a small round pot, with no soil. It grows tall, blade-like leaves. He told me that it blooms once every five years, but I’ve never seen it do much of anything. I don’t usually tend the plants, and this one is a bit hidden, tucked away by the window, so I was surprised one day to see a tall, tubular stem with a bud at the top. 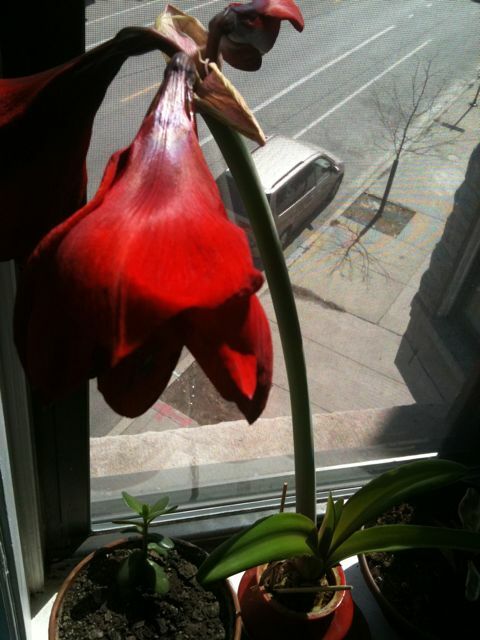 It took some time to do anything and it was right around the Spring Equinox that it started to finally open. 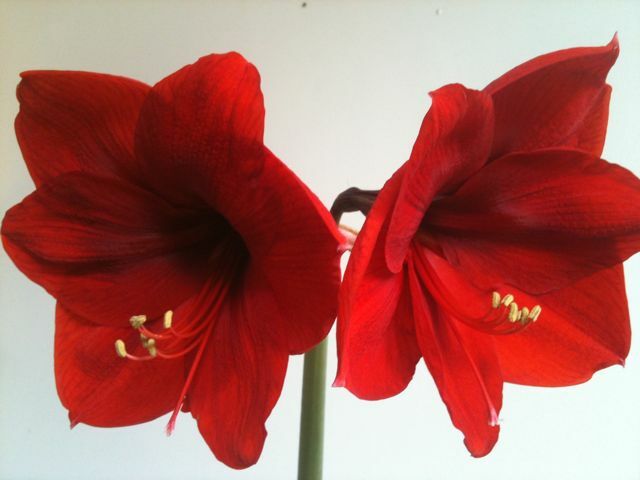 From that one bud emerged three big, beautiful red flowers. What a beauty! 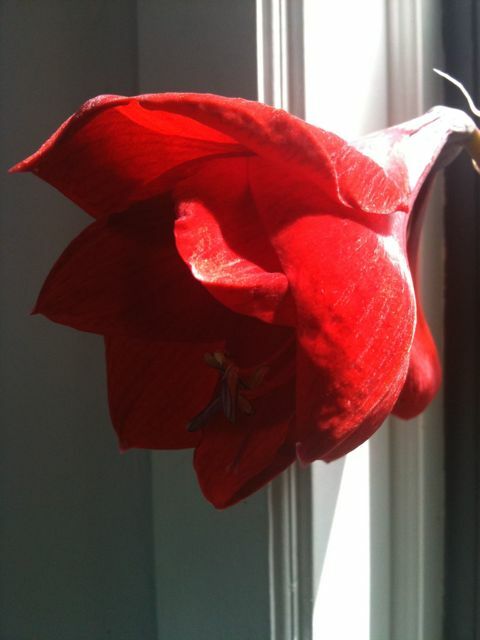 These huge crimson flowers are delicate and floppy; they look almost too big for the plant. Here’s a full shot of the plant in its tiny little pot. 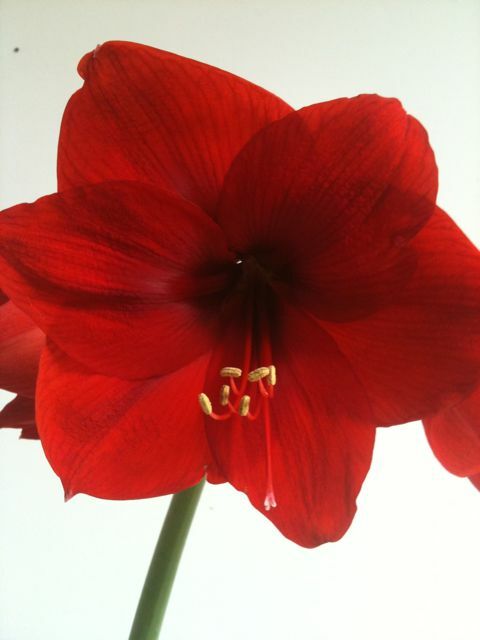 I think it is an Amaryllis plant, a type of lily. Congrats to John for making this one bloom again! Thanks! John thought it was some type of lily. It’s such a striking plant!